If you have ever been on Twitter or Tumblr, you’ve probably seen the phenomenon of shipping and works of fan fiction from around the world. Fans make art featuring characters in alternate stories and relationships. These “ships” — ranging from “canon ships,” which are true to the series, to a “crack pairing,” a pairing of two characters from different series — are the source of much debate among fans. If you have been on Twitter in the last few weeks the hashtag #GiveElsaagirlfriend blew up. When Alexis Isabel tweeted simply Dear @Disney #GiveElsaaGirlfriend on April 30th the internet responded positively and negatively with tweets of support discussing how important representation is for young LGTBQ people, and detractors mostly saying that Disney shouldn’t promote the homosexual agenda, with the hashtag #Don’tgiveElsaaGirlfriend or #PrinceCharmingforElsa, although there were people who believed that this movie promoted a gay agenda because Elsa didn’t have a prince charming in this movie. Others question giving Elsa a partner at all, saying this movie should be about sisterly love. Today #GiveCaptainAmericaaBoyfriend has been trending since Idina Mendez (the speaking voice for Elsa) said she supported the idea of Elsa having a girlfriend. 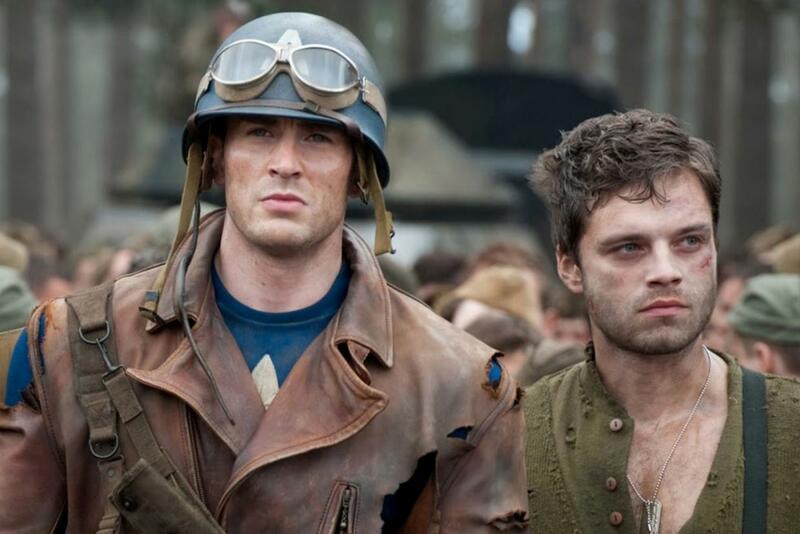 For a while tumblr has already been “shipping” Steve Rogers and Bucky Barnes (aka Captian America and the Winter Soldier) with the name “Stucky.” So when this hashtag became popular the community already said Steve Rogers had a boyfriend named Bucky, although some people like the idea of Steve and Tony Stark. Apparently the internet was shipping Finn and Poe from the new Star Wars movie. The actor who plays Finn has made it clear it’s just a bromance, which to me is a spoiler for Episode 8. Why are these hashtags gaining such traction? A GLADD report has stated that Disney, who also owns Marvel and the Star Wars cinematic universe, didn’t have ONE LGBT character in 2015. The hashtag #OscarissoWhite surfaced because the nominations for the acting roles only included white actors for a second year in a row, with some amazing performances by non white actors in the last two years. 10 out of 14 Pixar films fail the Bechdal test, a test of the presence of women in film in an active role that says the film has two women with names who talk to each other about something other than a man. People are demanding representation in media. They have a way to ask for it and make sure the studio knows they want it. These hashtags highlight and get people talking about the fact that there are very few movies staring LGBTQ characters, people of color, or even staring roles for women. Demand does fuel media: we wouldn’t have 300 comic book movies coming out if “we” didn’t pay to see them, and hopefully when the studio does give more roles to people of color or LGBTQ people we pay to see it so the studios will keep making these films.